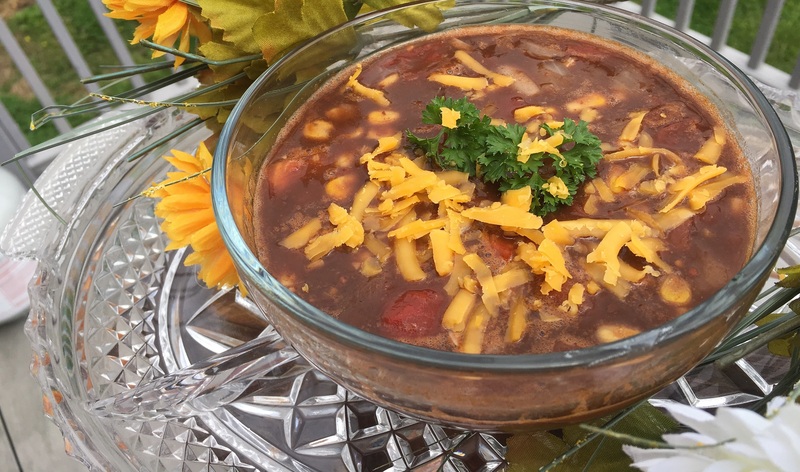 Adapted from Weight Watchers Spicy Black Bean Soup. I’ll admit it. I am a total wimp when it comes to anything spicy. The problem is that I love variety, and that means all kinds of flavors – including the spicy ones. A few months ago I went out to dinner with one of my best friends, and we were trying out a local Korean BBQ. We both decided on a mild level of spiciness for our ramen bowls, but despite this the two of us were a sniffling, watery-eyed mess within seconds of starting our meal. Our waitress came to check on us and, noting how pathetic we looked despite our assertions that the food was delicious, offered to bring us some broth to cut down on the spice. Needless to say, we took her up on the offer. A few minutes later, an elderly woman brought us out a bowl of the broth. There wasn’t anything to scoop it out with, so after another minute or so I, being the ever-so ladylike lady that I am, tipped the broth out to pour some into my bowl. My friend followed my lead, and in the midst of her pouring hers out our original waitress returned with a ladle. She stared for what seemed like forever, then slowly placed it onto the table and walked away. The two of us felt embarrassed and immediately began giggling to ourselves. “Gosh! Use the ladle, you uncultured swine!” I joked, and in between gasped breaths of laughter and spilled droplets of broth my friend’s eyes filled with tears of mirth. The recipe I’d like to share with you today, fortunately, will not bring you to spicy tears. 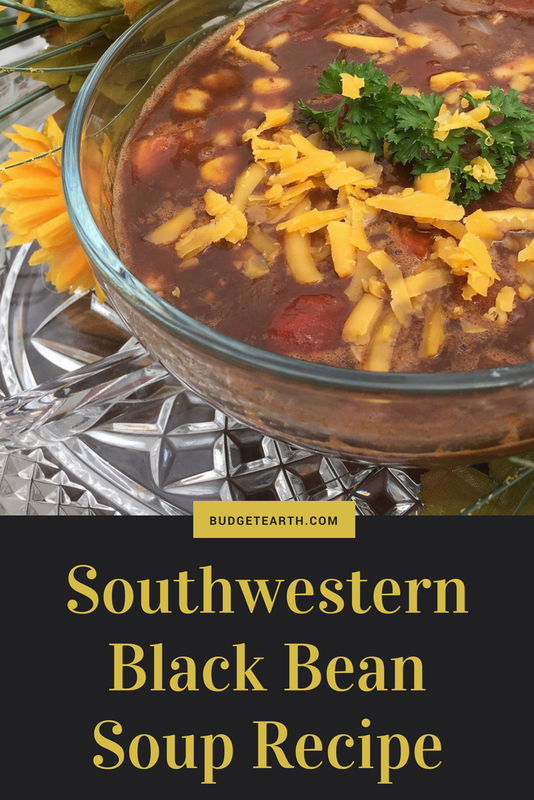 It’s full of that delicious southwestern flavor, and just the right amount of spice for mild-mannered folk. Of course, if you like your food extra spicy, you can always add about a ½ teaspoon of red pepper flakes and/or use those canned tomatoes that come with green chilis. I always say, adapt the recipe to whatever suits you and your tastes. 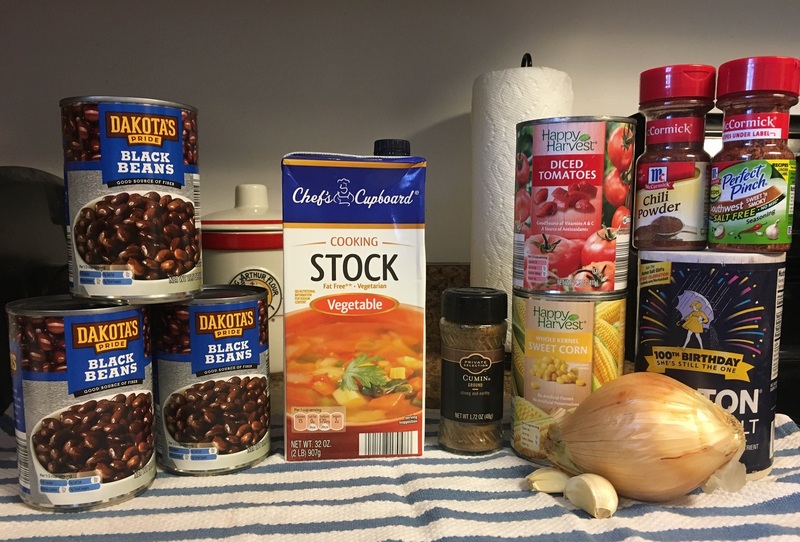 This black bean soup is amazingly simple to throw together. Blend 1 can beans, chili powder, chipotle chili pepper, cumin, and salt until smooth. Set aside. In a large pot, sauté onion and garlic until lightly browned. Pour bean mixture into the pot, then stir in the remaining 2 cans of beans, vegetable broth, tomatoes and corn. Bring to a boil, lower heat to medium-low, and simmer for 20 to 25 minutes. 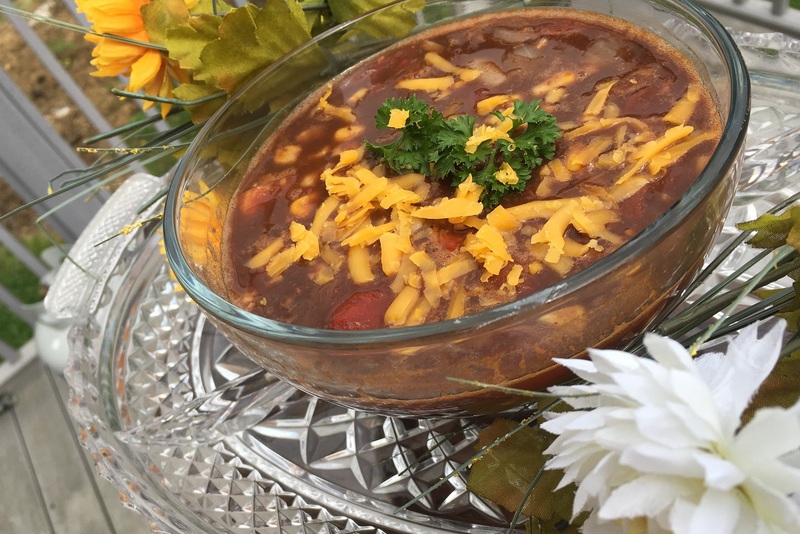 Serve with freshly grated cheddar cheese for extra flavor. Healthy, flavourful, hearty and filling! This sounds terrific. I love soups. I think bean soups are some of my favorites. Ths would make a good filling meal. Soups are some of my favorite dishes, too. I hope you get a chance to enjoy this one! This is my husband’s favorite soup. I am going to make it for him for Father’s Day! That’s so lovely! I hope he enjoyed the soup. I have some vegetable broth to use up and some black beans in the pantry. Going to have to try this! This soup sounds delicious. I haven’t tried this type before but it could become a firm favourite in my family. Yum! It’s so easy to throw together, I keep it as a staple in my household too. I hope you all give it a try! Can never have too many delicious recipes on hand. This is great! I’m a vegetarian, and so often I see yummy looking dishes until I look at the ingredients and see something related to dead animals. I can’t wait to try this out! I like the way this is made…………….. CANS! I watch cooking shows and every so often you hear one of the chefs put cans down. I have all of this in my cabinet but have never made the soup, but I will be making it. It looks and sounds so good. looks like a hearty soup. 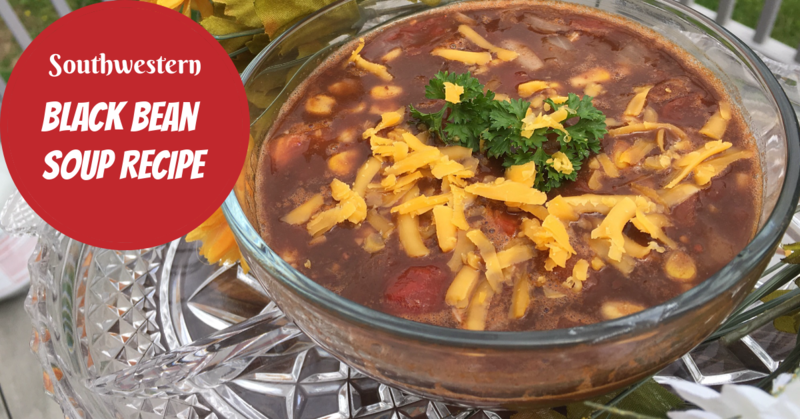 what is more perfect than soup for Fall? not much! I love beans so I am going to have to make this. This may sound really silly, Barbara, but if you have an Aldi in your area then you NEED to try and use their black beans. I don’t know what it is, but they have the absolute best black beans I’ve ever tasted and I would happily just eat them out of the can by themselves. I am ready for some good soup and stew recipes with the weather cooling down. I like a bit of spice but not too much so I think this one would work well for me.